^ "Adobe Systems". Fortune. Retrieved 2018-12-20. ^ Donnelly, Julie (17 Sep 2013). "Adobe dumps gleaming Waltham digs at a $20M loss". Boston Business Journal. Retrieved 17 May 2017. ^ "India's best companies to work for 2017: Here's why interns love Adobe Systems". Retrieved 2018-12-20. ^ Verespej, Michael A. (5 February 1996). "Empire without emperors". Industry Week. 245 (3): 13–16 – via ProQuest. ^ "Adobe gets font technology. (Adobe Inc. acquires Ares Software Corp.)". June 3, 1996. Archived from the original on October 11, 2013. Retrieved Jul 12, 2013. ^ "Adobe acquires Accelio. (Industry News)". July 1, 2002. Archived from the original on September 11, 2016. Retrieved Jul 27, 2016. ^ "Thoughts on Flash". Apple. Retrieved 2012-07-10. ^ Leena Rao (January 18, 2011). "Adobe Buys Behavioral Data Management Platform DemDex". TechCrunch. Retrieved 20 April 2015. ^ "Adobe acquires Canadian makers of PhoneGap, Nitobi". IT World Canada. October 11, 2011. Retrieved 12 May 2017. ^ Lee, Jasen (Dec 6, 2012). "A look inside Adobe's new state-of-the-art Utah home". Deseret News. ^ "Adobe hack much worse than reported, hits 38 million passwords and Photoshop source code". The Verge. Retrieved 2017-03-07. ^ "Over 150 million breached records from Adobe hack have surfaced online". The Verge. Retrieved 2017-03-07. ^ "Judge Grants Class-Action Status in Silicon Valley Hiring Suit - WSJ.com". Online.wsj.com. 2013-10-25. Archived from the original on October 29, 2013. Retrieved 2013-10-30. ^ McLean, Asha. "Adobe and Nvidia expand partnership for Sensei AI | ZDNet". ZDNet. Retrieved 2018-04-04. ^ "Adobe buys Magento for US$1.68b to target e-commerce". The Business Times. Retrieved 2018-05-23. ^ "Adobe to buy Magento for $1.68 billion". CNBC. Retrieved 2018-05-23. ^ U.S. Securities and Exchange Commission. "Ownership Information: ADOBE INC". SEC.gov. Retrieved 2018-11-21. ^ "Adobe Systems Inc. - AnnualReports.com". www.annualreports.com. Retrieved 2018-11-25. ^ Thiadmer Riemersma (2012-07-02). "The Filmstrip file format". CompuPhase. Retrieved 2015-01-27. ^ "Adobe debuts new AI-powered features in Adobe Experience Platform". VentureBeat. 2019-03-26. Retrieved 2019-03-27. ^ "Don't Believe The Adobe Price Cut Hype, It's Still Gouging You Silly". Gizmodo. Retrieved 2017-03-07. ^ "Adobe has its head in the clouds over pricing". Melbourne: The Age - Technology. Retrieved 2017-03-07. ^ "UK will pay £1,000 more for Adobe CS3". ZDNet. 2007-03-30. Retrieved 2014-05-23. ^ "10,000 sign Adobe CS3 European pricing petition". Photo.net. 2007-05-20. Retrieved 2014-05-23. ^ Charles Arthur (June 3, 2009). "Adobe widens the price gap". London: The Guardian. Retrieved 2014-05-23. ^ Gary Marshall. "The 10 most hated programs of all time: Terrible software that made everybody see red". TechRadar. Retrieved 2017-10-05. ^ Pagliery, Jose (2013-10-08). "Adobe has an espically abysmal security record - CNNMoney". Money.cnn.com. Retrieved 2014-05-23. ^ Aug 17, 2011 by Jeff James in Security Blog (2011-08-17). 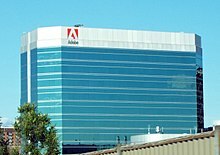 "Adobe Fares Poorly in Kaspersky Lab Security Report". WindowsITPro. Retrieved 2014-05-23. ^ "Adobe Spying On Its Customers". Techdirt. 2007-12-28. Retrieved 2014-05-23. ^ "John Nack on Adobe: Adobe ate me baby!!". Blogs.adobe.com. 2007-12-28. Retrieved 2014-05-23. ^ Brewster, Thomas (2012-05-14). "Adobe Backtracks On Patching 'PR Disaster'". TechWeekEurope. Retrieved 2014-05-23. ^ Brenner, Bill (2012-05-14). "That was stupid, Adobe | CSO Blogs". Blogs.csoonline.com. Archived from the original on 2012-06-30. Retrieved 2014-05-23. ^ "Adobe and Skype top my Foistware Hall of Shame". ZDNet. 2011-04-28. Retrieved 2014-05-23. ^ "Adobe's latest critical security update pushes scareware". ZDNet. 2012-03-29. Retrieved 2014-05-23. ^ "Adobe in source code and customer data security breach". BBC. 2013-10-04. Retrieved 2014-05-23. ^ "Adobe hack attack affected 38 million accounts | Security & Privacy - CNET News". News.cnet.com. Retrieved 2014-05-23. 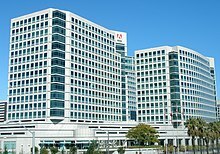 ^ "Adobe Cyber Attack was a Lesson for Corporations - Kioskea.net". 2013-10-29. Archived from the original on 2013-10-22. Retrieved 2014-05-23. ^ Konrad, Alex. "After Security Breach Exposes 2.9 Million Adobe Users, How Safe Is Encrypted Credit Card Data?". Forbes. Retrieved 2014-05-23. ^ Goodin, Dan (2013-11-01). "How an epic blunder by Adobe could strengthen hand of password crackers | Ars Technica". Arstechnica.com. Retrieved 2014-05-23. ^ Finkle, Jim (2013-11-07). "Trove of Adobe user data found on Web after breach: security firm | Reuters". Uk.reuters.com. Retrieved 2014-05-23. ^ Published on 5th November 2013 by Gareth Halfacree (2013-11-05). "Adobe data breach far worse than first claimed". bit-tech.net. Retrieved 2014-05-23. ^ Smith, Matt (2013-11-05). "Adobe 'should hang their heads in shame' following cyber attack". Business Technology. Retrieved 2014-05-23. ^ "Ruh-roh: Adobe breach is just the beginning, researcher says". Gigaom.com. 2013-10-07. Retrieved 2014-05-23. ^ "BBC News - Adobe hack: At least 38 million accounts breached". Bbc.co.uk. 2013-10-30. Retrieved 2014-05-23. ^ "Why the Adobe Hack Scares Me - And Why It Should Scare You | Adam Levin". Huffingtonpost.com. 2013-11-15. Retrieved 2014-05-23. ^ a b c d e f g h Rivoli, Dan (2011-05-03). "Adobe Hit With Class Action Over FreeHand App". Law360. ^ a b c d e f Snol, Lexton (2010-05-05). "Adobe accused of software monopoly (not by Apple)". Tech World. ^ a b "Adobe sued by FreeHand user group". Computerworld UK. 2011-05-18. ^ a b Nelson, Jay (2011-05-03). "Adobe Sued for Killing FreeHand". Planet Quark. ^ a b "FreeHand users sue Adobe for 'killing' the application". Macworld. 2011-05-18.